Twenty-five members and friends of the Athol Bird and Nature Club joined Botanist Julie Richburg for a look at plants in winter. Crisp winter air greeted the energetic group as they explored the Yellow Trail behind the Harvard Forest Fisher Museum. Large Sugar Maples line the roadway where signs of an earlier homestead could be observed. Vines growing on the stately maples proved to be Poison Ivy. Julie explained the difference in the ways vines grow. Some like Poison Ivy having rootlets that cling to the surface being climbed and others like the Oriental Bittersweet spiral up the stems of trees and shrubs. It was noted that although widely planted historically for wildlife food the Bittersweet is no longer recommended for planting as it often takes over large areas and inhibits the growth of more desirable native species. Observing the twigs of a White Ash the group learned the parts of a woody plant used to determine the identification. These included buds, leaf scars, bundle scars, bark, seeds, and the pattern of branching (opposite or alternate). With this fresh knowledge of plant anatomy the group discovered Red Maple, Striped Maple, Black Birch, American Beech, Red Oak, White Oak, Black Oak, White Pine, Red Pine, Canadian Hemlock, and various Spruce. Several very old Tupelo (Black Gum) trees were studied in a wooded wetland. Usually found in dense swamps and not valued for its wood by early settlers this species has been known to reach 300 – 500 years of age in Central New England. The hollow pith of Honeysuckle, the “velvet antlered” Staghorn Sumac, introduced the group to the numerous shrubs found along the trail. High and Low Bush Blueberries, Hobblebush, Wild Raisin, Mountain Laurel, Sheep Sorrel, Winterberry, and Wild Rose were added to the growing list of plants. The squared stems of Blackberry were compared to the rounded stems of Raspberry, while Wood Fern, Sensitive Fern, Princes Pine, Ground Cedar, Golden thread, Wintergreen, Trailing Arbutus (or state flower), and Goldenrod were observed. A small flock of birds were encountered as they foraged through the winter forest. Black-capped Chickadee, Golden-crowned Kinglet, Red Breasted Nuthatch, and Blue Jay made a brief appearance. Signs of Pileated Woodpecker, Red Squirrel, Coyote, and Fisher were identified by members of the group. 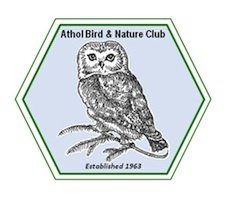 February 27th the club will meet at the Athol High School at 8:30 AM when club president Dave Small will lead a half day search for winter birds in the North Quabbin area. March 10th Bill Gette Director of the new Massachusetts Audubon Society Joppa Flats Wildlife Sanctuary, in Newburyport will present a program on the societies efforts to restore tidal wetlands and construct a visitor center near this world renown birding hotspot. The meeting will begin at 7:00 PM at the Harvard Forest Fisher Museum on Route 32 in Petersham. Club events are provided free and open to the public.